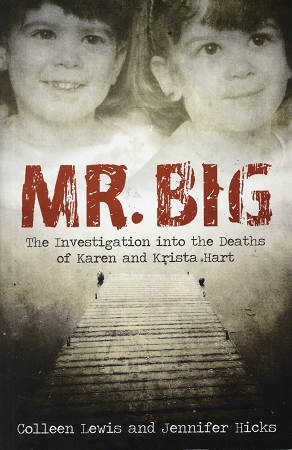 Mr. Big is the shocking true story of a murder investigation in Newfoundland and Labrador that forever changed the face of the Canadian justice system. On August 4, 2002, three-year-old twin girls Karen and Krista Hart drowned in Gander Lake. They had gone there with their father. He said it was an accident, but the police were convinced Nelson Hart had killed his daughters that day. With not enough evidence to make an arrest, the RCMP launched a $500.00 Mr. Big sting operation to try to get a confession. This book examines the dramatic events that unfolded over the four-month period when Nelson was flying back and forth across the country working in what he believed to be an organized crime syndicate. Central to this story is Jennifer Hicks, who reveals for the first time her life with her now ex- husband, Nelson Hart, and the events surrounding the deaths of her daughters. Together with television journalist Colleen Lewis, who closely followed Hart s murder trial, Jennifer has reconstructed the tragic story of a abusive relationship and a mother s worst nightmare.